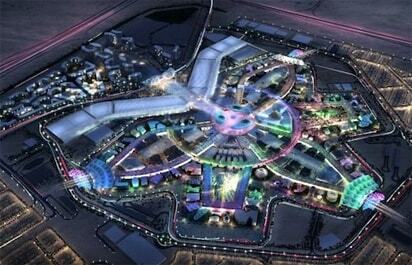 Two Nigerians are among the 16 innovators granted $100,000 each by Expo Dubai 2020 live to participate in the 2020 event. The organisers said “A Nigerian doctor who co-launched a mobile app and website to help save children’s lives after watching a baby unnecessarily die in an emergency room has won an Expo Live grant from organisers of the next World Expo, being held in Dubai in 2020. The OMOMI application helps expectant mothers and parents of under-five-year-olds monitor the wellbeing of their children from home, which can be life-saving for families living in remote areas or who cannot afford to attend a medical facility. Since it was launched in Benin City in 2015, more than 30,000 parents have used the platform. The funding from the Expo Live programme will help it reach even more families. Expo 2020 Dubai’s Expo Live programme has an allocation of $100 million to back projects that offer creative solutions to pressing challenges that impact people’s lives, or help preserve the world – or both. Organisers are looking for projects that would not reach their full potential without its support. The programme will grant up to $100,000 per initiative for its Innovation Impact Grant Programme – to be made available incrementally depending on progress and results. Owobu Emmanuel Osayi, a doctor and co-founder of OMOMI, said: “OMOMI, which means ‘my child’, was inspired by painful memories. “While I was a medical doctor, I had a very painful experience. A young mother came into the emergency room crying and holding a baby. Looking at the baby, I knew he was severely dehydrated, and looking into his history, I saw he had been suffering from diarrhoea for some time, so I asked the mother why she took so long to bring him into the hospital. She said she thought she could wait until the morning. “We tried to resuscitate the baby and give him fluids, but we lost him. The mother, crying, picked up her phone and called her family members. I asked her why she hadn’t used her phone to get information or help online, and she said she didn’t know how; she didn’t have a platform to help her do that. A few months later a friend called and told me about a very similar situation. We talked and decided we needed to find a solution.” OMOMI was developed by MOBicure Integrated Solutions. Its information and interactive features are based on the Childhood Survival Strategies set by the World Health Organisation and UNICEF. Parents can track their child’s immunisation status, monitor their growth, manage diarrhoea with an interactive do-it-yourself platform, and communicate with doctors and other parents. World Expos, which trace their origins back to the 1851 Great Exhibition in London, have always celebrated the latest in innovation and technology. The Expo Live programme was launched in January 2017, following a pilot phase last year. It aims to stimulate innovation that has a social benefit, by supporting winning projects with funding, business guidance and promotion. Successful applicants will also have the chance to showcase their work to many millions of visitors to Expo 2020 Dubai. To date, the programme has attracted more than 1,100 applicants from 107 countries around the world. Following a rigorous evaluation process, which included live presentations in Dubai in August, 16 grantees from 14 countries have joined Expo Live’s community of Global Innovators. With these new members from the second cycle, the community now comprises 45 Expo Live Global Innovators from 30 countries. The second Nigerian is Lagos-based startup West Africa Vocational Training (WAVE), which prepares young people in Nigeria for employment opportunities in the expanding hospitality and retail sectors. According to the organisers, In major West African economies, youth unemployment ranges from 40 to 85 percent. Education in the region often does not provide young people with the skills needed to participate and compete in the job marketplace. WAVE works with unemployed youth to train them with the skills that they require to get their first job to start a career and build a brighter future. Expo 2020 Dubai’s Expo Live programme has an allocation of $100 million to back projects that offer creative solutions to pressing challenges that impact people’s lives, or help preserve the world – or both. Organisers are looking for projects that would not reach their full potential without its support. Since its launch in 2014, WAVE has trained 1,200 unemployed young people and connected 60 percent of them directly to entry level work. The average income of a young person in West Africa is just USD 2 a day. Those who go through the WAVE programme earn more than twice that – USD 4-6 a day in their first jobs. For those taking part, WAVE is their first step to getting into the formal economy and giving them access to building a brighter future. Misan Rewane, CEO of WAVE, said: “This news comes as a big vote of confidence in our vision, and a big sign of Expo 2020 Dubai’s commitment to supporting young people and creating a meaningful social legacy. “Africa’s youth are an untapped resource. Through our home-grown approach education, training, and skills provision we hope to help thousands of young Africans into work – creating a demographic dividend for our region. The Expo Live grant will help us replicate our model by opening new academies. We will use this funding to begin working formally with the school system, with educators, with other training providers in the social impact space, with employers who are looking to grow their talent. The institute is using mobile phones in the classroom to educate and empower illiterate women. The course teaches women and older girls how to read and write with the help of mobile phones rather than pen and paper, as well as education on topics such as health and hygiene, values and human rights. Expo Live’s grant will help the institute hold more literacy classes in rural and urban areas. The firm produces Talking Stickers, an initiative that has taken a generations-old activity and turned it into a ‘smart’ early language development tool for children in locations where it is difficult to access education. The project currently runs in India, however Atollo will use the Expo Live grant to test and develop business and distribution models further, before expanding to other countries – including Lebanon, Mozambique, Afghanistan and Chile. The Plastic Bank has established convenience stores in Haiti that accept plastic waste as currency, turning the product into what it calls Social Plastic. The plastic is then sorted, recycled and sold to companies to use in their manufacturing instead of new plastics. The Expo Live grant will help promote the concept in other parts of the world. This start-up uses mobile technology to make the world more accessible for the blind and visually impaired. The Be My Eyes app connects a blind person with a sighted volunteer, who describes what they see through live streamed video. Through the Expo Live grant, Be My Eyes plans to increase the number of users and volunteers, and expand the complexity and diversity of features. GoRaymi is a digital platform that connects tourists with off-the-beaten-track experiences in Ecuador, helping less prominent, regional destinations to benefit from the country’s tourism industry. Expo Live’s grant will help GoRaymi to improve technical aspects of the platform, as well as create enticing content about the destinations to attract a larger user base. Finnish start-up Paptic Ltd impressed the Expo Live team with its innovative, wood-based alternative – PAPTIC – to plastic packaging and bags, which aims to reduce the amount of plastic waste that reaches the oceans. The funding will allow the firm to develop new applications for PAPTIC beyond its use in carrier bags, and it will also help it take the product to other markets. CoolCrop has developed a prototype low-cost cold room for the storage of perishables, powered by solar energy that can be easily deployed to small-hold farmer cooperatives. It allows farmers to store produce for up to six months, depending on the item, allowing them to sell their goods at the best price and to build a more sustainable livelihood. The grant will help CoolCrop develop more cold rooms and make it available in more locations across India. The mission of Kabadiwalla Connect is to divert urban India’s waste away from landfill, helping to cut CO2 emissions as well as increase income opportunities for small scrap dealers (kabadiwallas). It uses technology to link key individuals that make up the informal waste ecosystem in Chennai, such as small waste pickers, small aggregators and material recovery facilities. The Expo Live grant will help fund the schemes and support more kabadiwallas. The firm is using kites to capture ‘high altitude wind’ to provide low-cost power in remote areas that have limited or no access to electricity. Expo Live’s grant will allow Kitenergy to conduct field tests on a remote island in Cape Verde, giving 200 residents access to electricity and powering a desalination plant. The CheeksUp face motion game combines 3D recognition with real-time motion tracking to motivate patients to learn to use their tongue and lips correctly for speech, as well as gamification to ensure the programme is enjoyable. It can be used by speech therapists, myofunctional therapists and physiotherapists. The funding will allow CheeksUp to help more children fast-track their therapy, as well as develop and implement new game elements, animations and graphics. The company’s OMOMI application helps expectant mothers and parents of under-five-year-olds monitor the wellbeing of their children from home, which can be life-saving for families living in remote areas or who cannot afford to attend a medical facility. Since it was launched in Benin City in 2015, more than 30,000 parents have used the platform. The funding from Expo Live will help it reach even more families. My Shelter Foundation Inc has developed the ‘Liter of Light’ – an efficient and cost-effective solar lamp that uses immediately available materials, including plastic bottles and inexpensive, basic electrical components, to produce a reliable source of light. Expo Live’s support means that 20 permanent training centres can be built in the Philippines to boost production of the lamps. This fintech start-up provides a 100 percent cashless payment service that allows transactions anywhere, anytime, without electrical power or internet access. It utilises cashcards, payment terminals and apps and is designed so that neither the seller nor the buyer needs a bank account. Funding from Expo Live will allow CaribePay to expand into other Caribbean countries, and later into Africa, the Middle East and Asia. NOW Money provides a mobile app for low income workers who struggle to access banking services. The app allows them to manage their finances as well as send remittances home with the touch of a button. Thanks to a grant from Expo Live, NOW Money will be able to expand its scheme to help low-income workers in other Gulf countries. The firm has developed a low-cost, battery-powered carrier that provides constant, cool storage for vaccines to prevent them from being damaged due to heat exposure in transit. Expo Live’s grant will help Ideabatic to fine tune prototypes and test them in the field. KinTrans Inc is using technology to translate sign language accents between deaf and hearing people in real-time to help them better communicate. The funding will allow KinTrans to regionalise American sign language in the U.S. and the UAE, and Arabic sign language in the UAE by collecting user data.